Information & Cyber Security is an increasing concern for UK businesses. 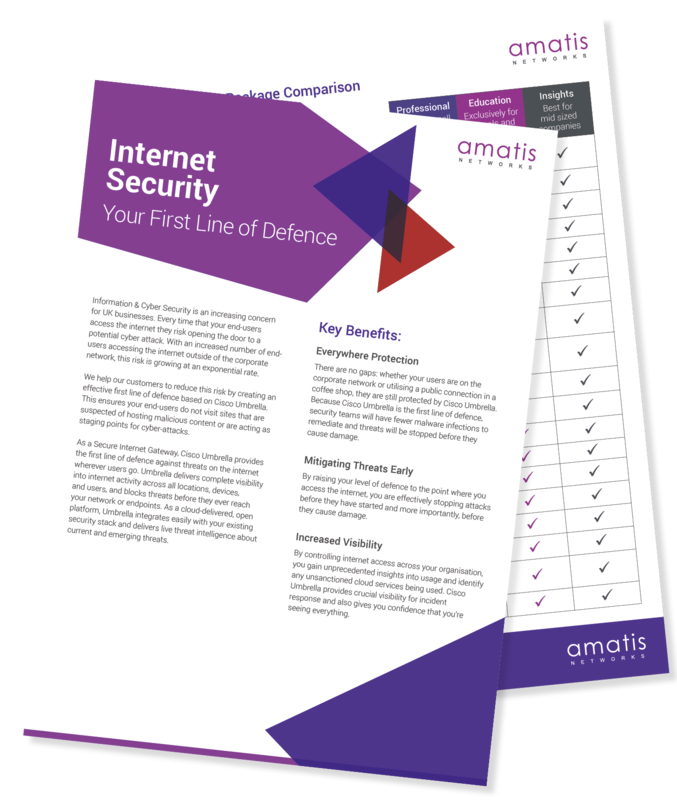 Every time that your end-users access the internet they risk opening the door to a potential cyber attack. With an increased number of end-users accessing the internet outside of the corporate network this risk is growing at an exponential rate. We help our customers to reduce this risk by creating an effective first line of defence based on Cisco Umbrella. This ensures your end-users do not visit sites that are suspected of hosting malicious content or are acting as staging points for cyber-attacks. Read our datasheet to learn more.